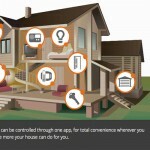 The home monitoring and surveillance market has been slightly saturated as of late. Companies are offering pretty much the same things, the same old devices, just with minute differences in features and aesthetics. It can get pretty boring at times. So, when a brand likes Zmodo comes along, the industry stops and listens. From its inception in 2009, Zmodo has consistently been at the forefront of innovation, providing people with products and solutions that are among the best that this industry has ever seen. 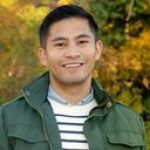 To provide an insider’s view about his company’s inner workings, here’s Andrew Xie, a Product Manager at Zmodo, who has graciously granted our request for a quick interview. In light of the last decade’s financial crisis, 2009 was a particularly rough year to start a business, especially a large, ambitious one like Zmodo. We’re really amazed that you managed to pull it off without any sort of compromise to the quality of your products. Did you venture into crowdfunding? We would love to know how Zmodo withstood the less-than-optimal financial conditions during those times. 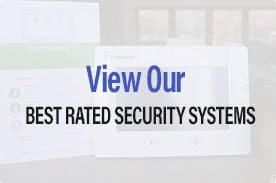 Zmodo was able to thrive and grow even during the rough economic landscape during that period because of our dedication to bring quality security products to customers at affordable prices. Other brands at the time were charging considerably higher for products with less features and lower quality. Zmodo broke into the market and gained significant market share by leveraging our resources overseas as well as efficient business practices to make these products available to our customers at great prices while still allowing for our own growth and affording the resources to continually improve and develop new products. Zmodo seems to be heavily invested into research. You have dedicated R&D centers in Beijing, Shenzhen, plus an innovation lab in California. Do you think that this intense focus on research gave you an edge over your competitors in the industry? How important do you think R&D is especially for companies in your field? Research and development is critical to success in such a competitive industry. Our hardware and software teams have been integral to building products with the design and features that users demand and which set us apart from our competitors. Our innovation lab in California is a great asset that helps us bridge some gaps between the teams in China and the North American marketplace that the products are aimed at, so that when the product is finally available to customers, it is highly optimized for their needs. Those are some great insights, Andrew. Another great thing that we love about your company’s products is that they are offered at very competitive prices. For example, the Greet costs only $150. A similar device with most of the Greet’s features (Wifi connectivity, motion detection, HD video) usually costs a few dozen dollars more. 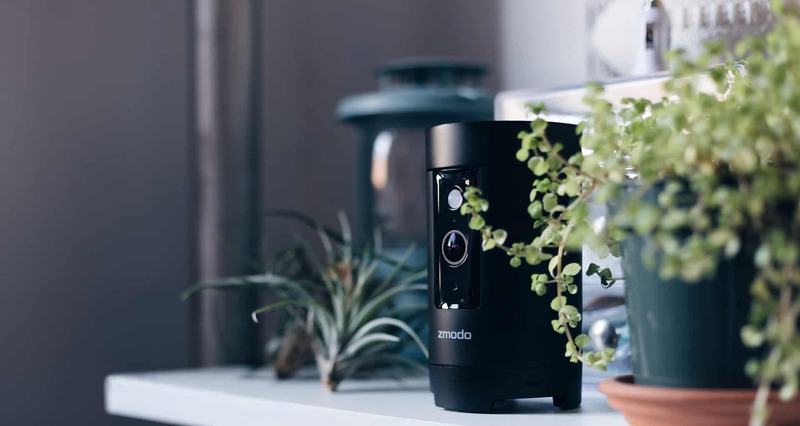 Zmodo had sold six million surveillance camera units since 2009- a pretty amazing feat in and of itself- but are there any regrets about the profits that you might have gained if you had priced your products a little higher? How integral is competitive pricing in your marketing strategy? We do not have any regrets with our pricing strategy. As a leader in the smart home revolution, it is important to us to be able to provide top smart home products at a price that is accessible to the mass consumer population. Having our own proprietary R&D team and manufacturing facilities gives us the infrastructure and resources to allow for such competitive pricing while retaining profit to finance future innovation for our products. It seems like CES 2016 was a blast for you guys! During the event, you unveiled two new upcoming products, the Greet 2.0, and the Smart Door Light and Connected Doorbell. Any updates about these two? What are the improvements that they have over their predecessors? Yes, we had a very successful CES this year and were proud to introduce our new products. The new Greet has all the features of the older model, including answering the door with your smartphone, easy setup, motion detection clips, and local storage, but it also has new features, such as improved two-way audio that allows both parties to speak simultaneously and a new wider angle lens with digital panning in the app, so you can see your visitors no matter where they’re standing. The Smart Door Light and Connected Doorbell are completely new. They work in conjunction to allow you to answer your door from anywhere and also change the color of your front porch light, set schedules, and more. Both the new Greet and the Smart Door Light kit are set to be released this April and are available on Amazon now for pre-order. CNET gave a pretty rave review about your Pivot cam- and we must say, we’re also pretty impressed. The fact that you were probably the first company to release a movable 360-degree rotating camera with motion sensors is amazing. Would you care to share more about this product’s features that people should get excited about? Pivot is indeed turning heads. It is available now on Amazon and has already been receiving some great reviews! Pivot is a connected, 360 degree rotating camera and security hub. It comes with two door/window sensors to alert you when something’s open and can automatically rotate and capture what happened. Footage is stored on its built-in memory, which allows users to save up to 2 days of 1080p video at all times. Pivot also has a mic and speaker, so you can talk with people at home and even play music via Bluetooth. In addition to all of the above, it also provides readings of temperature and humidity, giving you the whole picture of your home. It’s really an all-in-one solution for anyone who wants to monitor their space. We’re really looking forward to seeing more of Zmodo’s products on the market. Are there devices currently in production that we should look out for? We are currently working on our Garden Light, which can be installed in a standard E26 socket to give you an aesthetically pleasing surveillance solution outside of your home. The Garden Light will feature 360 degree rotation, night-vision, motion-detection, millions of customizable colors and themes, and, like the Pivot, it will also act as a smart hub for your smart accessories, like the Zmodo door and window sensors. As our final question, we would like to know a little bit about Zmodo’s plans for the future. Can you give us some teasers about what your company has in store for the public in the next few months/years? As a smart devices provider, we are excited to provide innovative, creative, and attractive products for your homes. This is important, because we believe that the products that you use in your home and everyday life should not only be practical, but pleasing to use. We are not afraid to innovate, and we’re excited to provide smart products that will address needs that maybe you haven’t even thought of. Our wide ecosystem of products will allow users to choose exactly what they want in their homes, and how they want to implement their own smart home. We thank you for the time you have given us in answering these questions, Andrew. Those are some pretty great insights, and we’re pretty excited to see what Zmodo might have in store in the near future. Readers, any comments or suggestions? Feel free to voice out your opinions below! Note: This interview is neither sponsored nor paid for by Zmodo.com. We are an independent company, and these interviews were conducted to give our readers pertinent consumer information about these brands which could help them in their future purchasing choices. 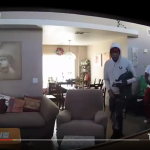 Three Stooges Steal Home Security Camera Recording Their Break-In. See How Advanced Technology Catches These Evildoers Red-Handed!